Like many of you I'm sure, I've casually followed the Consumer Electronics Show from afar - seeing articles and tweets here and there, heralding the coolest new gadgets of the future. This year, I was actually able to attend the show in person, and I can tell you that the future is 3D, tablets and - good news for moms - waterproofing! One of the coolest things to come out this year was a commercial pinball machine. I'm a comic book fan, so the idea of an Avengers pinball machine that takes up a fraction of the space of a regular pinball machine, sounds pretty enticing. Crayola came out with a Light Marker, which uses an LED-tipped point to allow kids to draw on an iPad with a virtual pen. 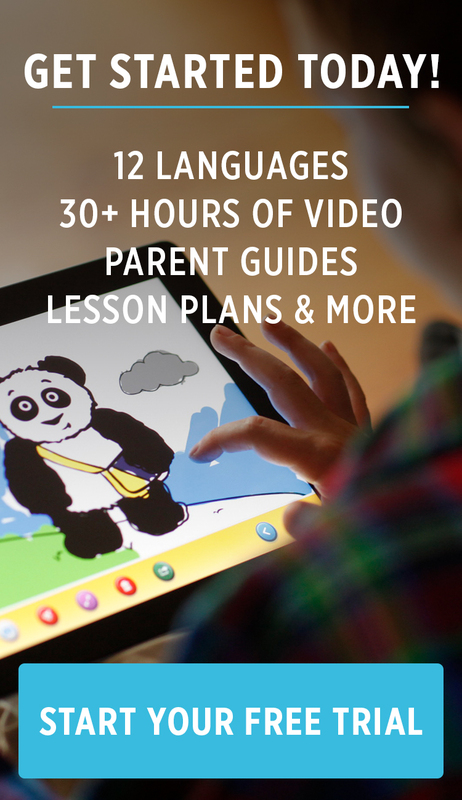 Our partners from One Laptop Per Child just released a kid-focused new Android tablet called the XO, PACKED with great learning apps - including Little Pim of course! The pick of the bunch though? A robot which massages tired moms. The line for that one was out of the door! Two great holiday games from around the world! The winter holidays are upon us. That means school breaks, family gatherings, and kids with a lot of excited energy looking for something to do. If the weather outside is frightful, and you want some delightful ways to keep your brood active and engaged indoors, try these holiday games from around the world that can also introduce children to different cultures and languages. You'll need: a hat, scarf and gloves; kitchen utensils; dice; a wrapped chocolate bar. How to play: Players sit in a circle. Each player rolls the dice and passes it along until someone rolls a double. The player who rolls a double then scrambles to put on the hat, scarf and gloves and then tries to unwrap the candy bar, using the kitchen utensils, and eat as much as he or she can, which is harder than it sounds, while the other players continue to roll the dice. As soon as another player rolls a double, the hat, scarf, mittens, utensils, and chocolate bar are passed to that player, who gets a turn trying to eat the chocolate. The other players continue to roll and the passing of the bar continues until all the chocolate has been eaten. Pinata: In Mexico and some other Spanish-speaking countries, piñatas are not just for birthday parties; they're a Christmas tradition, too. You'll need: A piñata, of course. But why buy one at the store when you can make one and get the kids involved in some messy, crafty fun? Here are instructions. Plus you can use recycled materials and do a good thing for the environment, too. How to play: Do we really need to tell you?Fill your piñata with candy, fruit or small toys and hang it from the ceiling or a tree branch. Each child (perhaps blindfolded) then takes turns batting the piñata with a stick until the piñata breaks open and its festive contents tumble out. Nothing says Christmas like sticky, gooey hands and happy kids smiles – or embraces the New Year like helping your kids learn about other cultures and languages. Feliz Navidad! Watch kids take on a holiday piñata here.